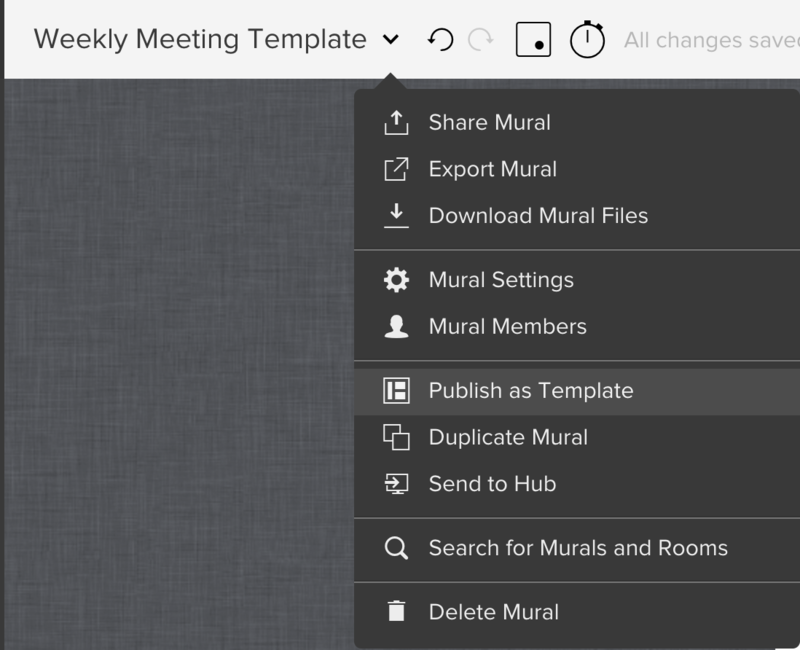 As you collaborate in your workspace in MURAL, you’ll want to make sure all your workspace members have the appropriate permissions. Why the different levels of permissions? When you invite teammates, you might not want everyone to have the same permissions. For example, you’ll probably want colleagues in your organization to create and view content, but you’ll want a client to see only projects that are relevant to them. 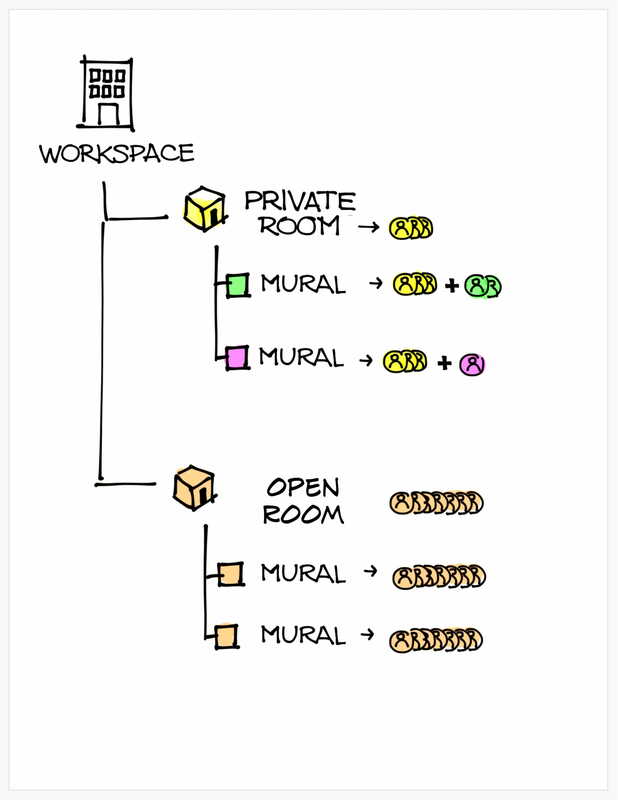 CAN CREATE ROOMS: If a workspace member can create rooms, that means they can start new projects in mural, not just contribute to existing ones. 2. CAN PUBLISH TEMPLATES: One use for a mural is to create an activity for your team. When you use a mural to create an activity you plan to use again and again, it can be made into a template. Once a mural has been published as a template, anyone in your workspace can create a new mural from that template. 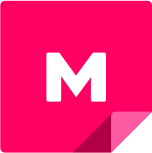 If a user has permissions to publish murals as templates, they’ll be able to publish a template from any mural they have access to. That template will be publicly available to everyone in the workspace. 3. CAN SEE OPEN ROOMS: Here it’s important to note that there are two kinds of rooms: open rooms and private rooms. Private rooms are only visible/accessible to the creator and workspace members who were explicitly invited. Open rooms are visible/accessible to anyone in your workspace, provided they have the permission to see open rooms. By default, anyone with the same email domain as you will be able to see open rooms and create rooms. As a workspace admin, you can manually change these permissions for workspace members as you see fit. 4. WORKSPACE ADMIN: Workspace Admins can assign permissions to and remove permissions from other workspace members. Now that you're a pro in MURAL's workspace permissions, you can impress your teammates with how quickly you can collaborate.